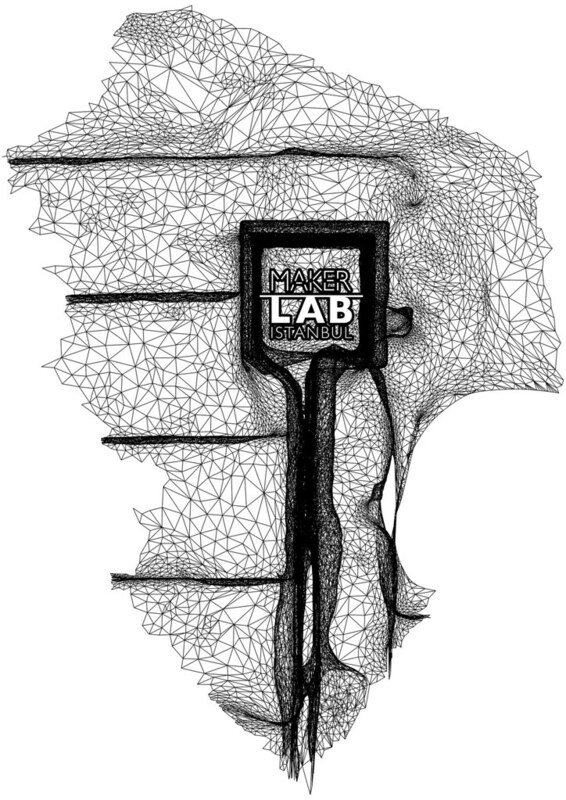 MakerLab Istanbul centres on the connecting of the projects presented at the biennial and the realities of the city of Istanbul. Our goal is to hold a lab where we can show how knowledge and tools can be applied, taking in consideration the knowledge and tools accesible to the citizens, and what the people of Istanbul are interested in. • Publish instructions, so that the knowledge created can be shared and build upon. The term The Virus Plug-in was coined as the concept definition. An object that will use a public structure as its own. It will grow around itself, almost self-replicating, and will give a new sense and value to its location, one decided by citizens. 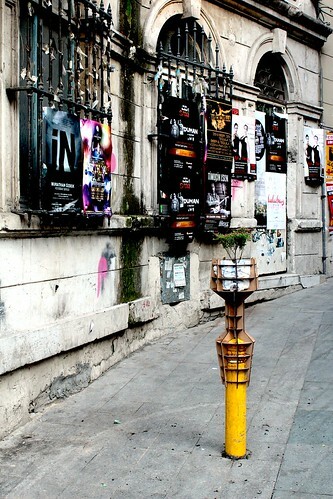 We hope that by introducing objects to the street and telling people how they can be made, we initiate a viral action, were people feel able, allowed and encouraged by their peers to hack the public space. This is not, in itself, the change. The change depends very much on the willingness of people to get involved. It is not an action to impose a new concept – it is designed to invite reflection. And if just one person is inspired to do something, whatever that might be, we will have succeeded in spreading this virus. Allowing for different interpretations of what a virus plug-in might look like, thus showing people a wider spectrum of what is possible, meant that we had to find a common language that unifies the project and help people connect the different plug- ins, sparking their curiosity. 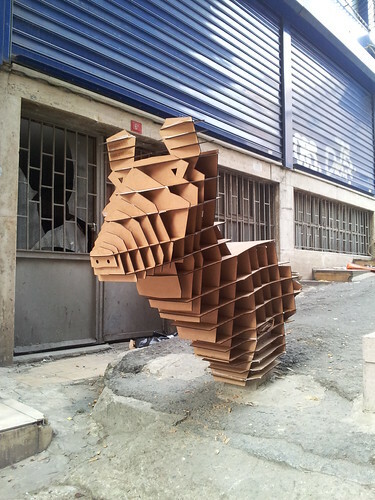 Our common language was the material 4mm MDF, and the construction technique (interlocking slices). However, we feel our output, and the general zeitgeist, is far from industrial. It is spontaneous. It is not based on specific machines or manufacturing processes (we have chosen the ones explained above, but we could have chosen another ones). It isn’t based on long planning processes, but on a reaction to the environment. A combination of our individual beings and input from the outside. The outputs are not even one-size fits all, but a specific object, for a specific purpose in a specific place and time. They are all reactions to the zeitgeist, and not pre-manufactured ideas. These technologies aim to facilitate our capacity to react. Even though the technologies still have a long way to go until non-professionals can easily use them, here we have built fiscal prototypes so that we understand the new possibilities. Virus Plug-Ins from erin turkoglu on VimeoThe video documents the process to make a plug in step by step. 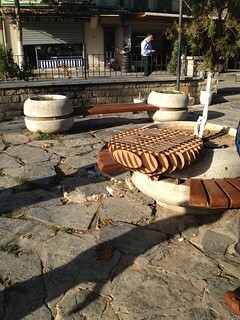 J Table designed to create a more comfortable public space experience near Galata tower. We took inspiration from people using the planters as a backrest while sitting on the stairs and created J Table to fit onto the planters perfectly. Due to recent protests against the police limiting public seating people have been getting creative with the existing planters and stairs. 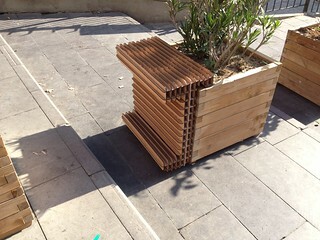 We were inspired to create a table that grew onto the planters for people to use and enjoy. The Tavla Table is a PlugIn created to give a new meaning to the freed space opened up by a damaged bench. Created by 3D scanning the existing object with 123D catch and later on adding the design of the table, fusing the shapes digitally and using laser cut technology to manufacture it nearby. 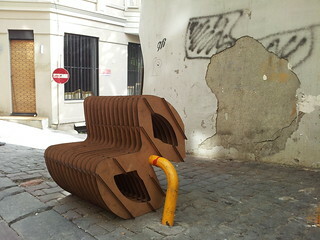 The bench is a plug in for the public space. Designed to fit over a rail thus changing prohibition (The rail is there to prevent parking) for invitation (the bench will allow people to use the rail as seating and meeting place. The user can both observe the passes by or flip it to create a more intimate atmosphere. 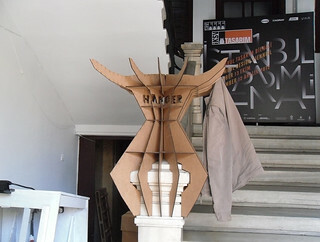 Hanger plug-in which is visible from outside of the exhibition space connects other plug-ins on the surrounding streets designed at Maker Lab Istanbul to the exhibition space and welcomes the visitors of the exhibition with a strange yet familiar appearance, personalizing a public space with the feeling of coming home. Hanging your coats when you come home was the inspiration of this infectious piece. Using the existing structure of bollards to fix it to the public space, the installation aims to diffuse several cells of a common garden, the care of which is taken in charge by people. Created with laser cut mdf interlocking slices. The Hyppocamus offers it self for random passers by to be ridden towards whatever destination the rider might imagine. It uses the qualities of the interlocking slices and the bollard as fixing structure to allow the right amount of swinging. Althought each of us took one project further developing its aspects in details, it is difficult to say from who each idea was. Therefore we can say all ideas are from all of us.